The Minister for Health and Medical Services, Rosy Akbar has acknowledged the medical pratitioners and supporters who have worked hard in the Ministry of Health and Medical Services’ National Meningococcal (Men C) Immunisation Programme. In total, 228,890 children aged between 1 to 19 years have been immunised in the central, western and northern divisions. The minister said these were all the nurses, community health workers, health staff, village leaders, teachers and communities. Sincere appreciation has also been conveyed by Ms Akbar to all the donor agencies, Ministry of Foreign Affairs and Trade (MFAT) New Zealand, World Health Organisation, UNICEF and the Australian Department of Foreign Affairs and Trade (DFAT) for their support. Ms Akbar also thanked all the parents and guardians for providing the consent for their children to be immunised. The MenC Immunisations teams who have overcame the odds by braving the unexpected weather conditions to deliver the vaccines in remotest locations have described their experience as challenging yet empowering. Subdivisional Medical Officer Tailevu, Dr Ilisapeci Lasaro, has commended the MenC Immunisation team who aspired to reachout to some of the remotest villages and settlements in Tailevu. 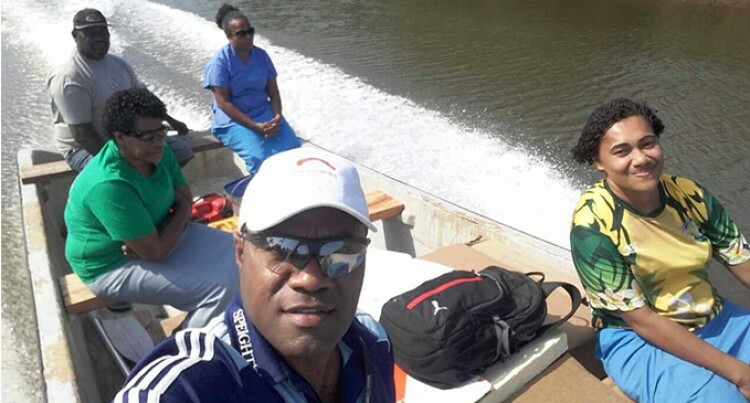 While recalling his experiences, a zone nurse in Tailevu, Jovilisi Kedrayte said: “Most of the areas we have reached was through walking and crossing the rivers. “It would take us more than an hour and we had to safely carry our medical bags whilst crossing the rivers as well.